TAKARA Rose is the face of a new dangerous fad of playground bullying. The eight-year-old has never hurt or been nasty to anyone, her only “crime” is she suffers a range of allergies. Mum Alanna describes her daughter’s experience of bullying as terrifying, likening it to having a “loaded gun against her head”. The year 2 student from Sandringham, in Sydney’s south, is dangerously allergic to nuts, dairy and eggs, meaning if she is exposed to foods containing those ingredients – even brushing past them – she can go into potentially fatal anaphylactic shock. In a bad week, Ms Rose, 50, is forced to call the ambulance four times because of Takara’s extreme reactions. Twice, the young girl has been chased by a group of year 6 boys threatening to throw nuts at her, leading her to once lock herself in the school toilets to stay safe. Takara is among a disturbing number of food allergic children who are being targeted by bullies in Australia, which has one of the highest food allergy rates in the world. “In her eyes, it’s like holding a loaded gun against her head,” Ms Rose said. “It’s hard enough to live as restrictive as we do without having the added problem of being bullied by other kids,” Ms Rose said. Ms Rose also said the school told her the incidents did not constitute “bullying”. It seems as if the school doesn’t equate life threatening behaviour as “bullying”. How can we properly protect children when schools continue to make excuses for unacceptable behaviour? Central Coast paediatric nurse and founder of Allerchic website, Stephanie Holdsworth said she knew of one kindergarten child who ended up in the intensive care unit at Sydney Children’s Hospital for four days after having a peanut butter sandwich rubbed in his face by his young tormenters. These incidents are not simply ‘bullying’ they represent the height of bullying. Nothing is likely to change for allergic kids unless schools are aware of their challenges, actively work to see that they are integrated properly within the school and that the culture of the school is such that bullying and harassment are not taken lightly. First peanuts, now eggs. Doctors have reversed allergies in some children and teens by giving them tiny daily doses of problem foods, gradually training their immune systems to accept them. Don’t try this yourself, though. It takes special products, a year or more and close supervision because severe reactions remain a risk, say doctors involved in the study, published in Thursday’s New England Journal of Medicine. “This experimental therapy can safely be done only by properly trained physicians,” says a statement from Dr. Anthony Fauci, director of the National Institute of Allergy and Infectious Diseases, the federal agency that sponsored the study. It didn’t work for everyone, and some dropped out of the study because of allergic reactions. But the results “really do show there is promise for future treatment” and should be tested now in a wider group of kids, said the study’s leader, Dr. A. Wesley Burks, pediatrics chief at the University of North Carolina, Chapel Hill. I’m glad this method is proving successful, but I don’t think I could put my daughter through the process. 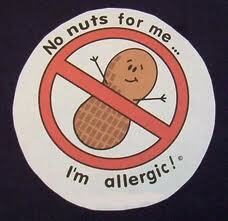 Click here to read, ‘Anaphylaxis: The New Form of Discrimination’. Being a father of a young girl with a nut allergy, I really hope that schools work hard to reduce the stigma of a child with anaphylaxis. 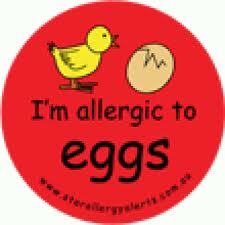 It would be a shame if she was ostracised or treated differently because of the allergy. I personally am in awe of how she can deal with eating differently from her peers without so much as a whimper. She just accepts her lot and doesn’t let it get her down. Children with potentially deadly nut allergies are being bullied for being different, say researchers. And their parents are stigmatised as ‘neurotic and attention-seeking’ by other parents, they found. 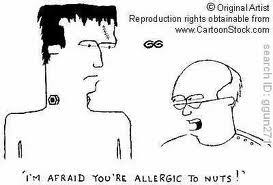 Relatives of some victims of the condition are even suspected of deliberately giving a child nuts to check they really are allergic. Overall, the impact of a nut allergy is so great that it could be considered a disability, the Leicester University researchers found.They interviewed 26 families from the Leicester area about their experiences. Some children told how they were bullied by classmates, who taunted them about their allergy and threatened to trigger it. What loving family member in their right mind would feed nuts to a child with a severe nut allergy to check if they are really allergic? And for those parents that think we are “too neurotic” about ensuring that our children are safe and not exposed to substances that can kill them, take a long walk down a short pier. As a father of a beautiful child who suffers from anaphylaxis, I couldn’t be more disappointed in the parents of Edgewater Elementary School for their repeated calls for a young girl with a peanut allergy to be removed from their school. Their reaction is alarmism at its best and warrants a strong and decisive response by the school board. Unfortunately, the best they could do is blame Federal law for not being able to remove the child. Wait said school leaders will meet this week with parents to address concerns and try to halt inaccurate rumors that children’s mouths were being wiped with disinfectant. “If I had a daughter who had a problem, I would not ask everyone else to change their lives to fit my life,” said Burr. Am I missing something here? Are we not in the year 2011? So what if children are slightly inconvenienced my having to wash their hands and rinse their mouths? How can the inconvenience of added personal hygiene measures compare to the possibility of an anaphylactic attack? How dare the school for not taking a much more calm and rational approach. Talk about pandering to parents! Why couldn’t they just say that nut allergies are common, and with sensible but thorough measures, we can deliver great educational outcomes for all students with allergies? My daughter has egg and sesame allergies. Otherwise, she is a normal, sweet-natured and delightful person. I would be horrified if there was a campaign to have her removed and homeschooled. There is enough descrimination already in this world, let’s not add to it!